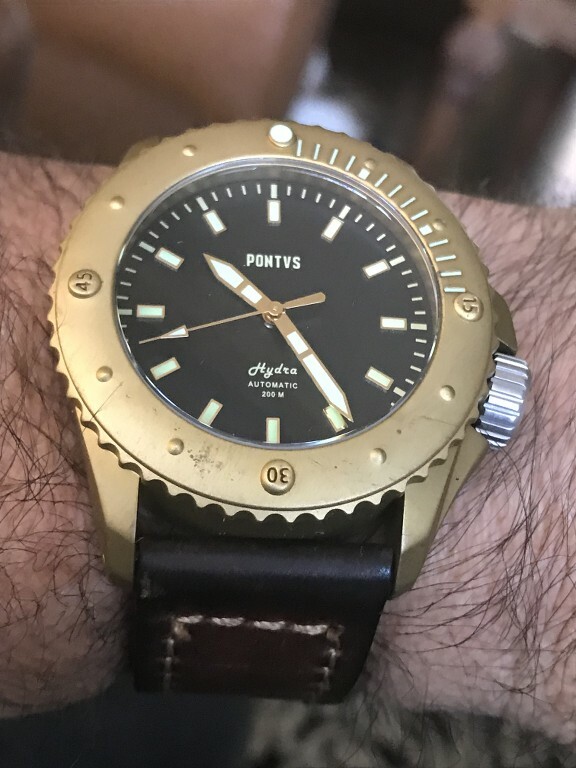 The Pontvs Hydra is a cool brass diver - liked it, but it was only 43mm and wore smaller than I prefer for that style of watch. 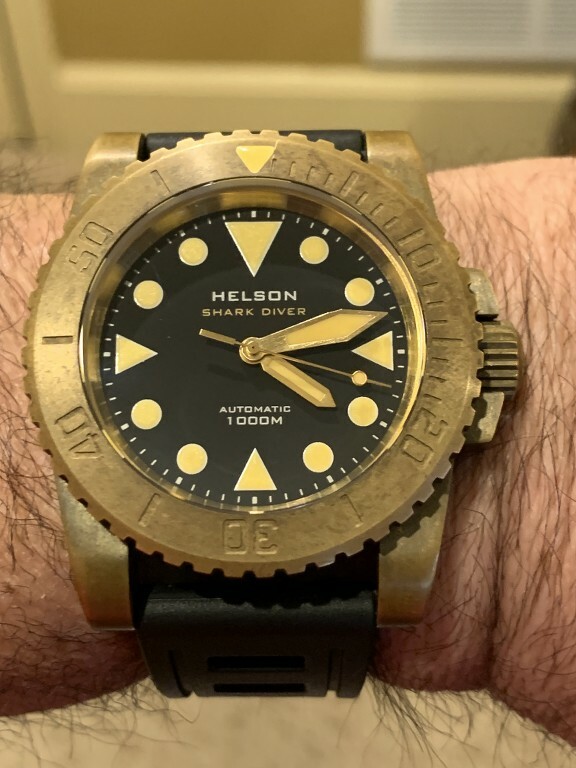 So, I was trying to sell it and someone offered me their Helson Shark Diver Bronze 1000m diver, which is 45mm. Same NH35 movements in each, so comparable value. I like them both, but like the Helson better, so a good trade for me. Congrats Mike, it's instantly more appealing than the Pontus imo, nice trade. Thanks, Kurt - I'm diggin' it so far. I definitely like the Helson much more!! Thank you, Chris - I like it much more too - more than I thought I would.